Traveling with young children can be quite challenging. 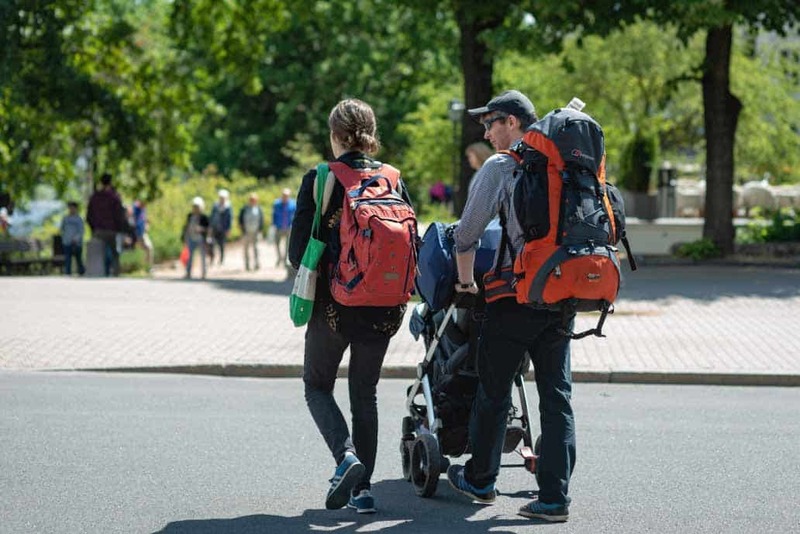 Besides the seemingly endless amount of items that you will have to bring with you, there is also the issue of whether you should take a stroller with you or not. While there are several advantages and drawbacks associated with each option, the emergence of strollers that specifically designed for travel has made life a little bit easier. In this article, we will go over some of the essential factors that you will need to keep in mind when looking for the best travel stroller on the market. What makes a travel stroller such a necessity for travelers? When traveling, comfort and convenience should be your two primary concerns. This becomes even more important when you are accompanied by a toddler or a young child that requires extra care and more effort on your part. Regular strollers might be able to do the job, but it is essential to keep in mind that they are not designed for travel. Due to their bulkiness and heavy weight, they can’t fit in compact compartments and are definitely not small enough for checking on an airplane. More lightweight alternatives such as umbrella strollers and travel strollers are the ideal solution since they are specifically conceived for this purpose. They are light, compact, and are equipped with several features that make them easy to steer and fold. They are perfectly suited for navigating through airports, walking upstairs, taking public transportation, and practical storing in the back of a compact car or the overhead compartment of the airplane. When looking for a travel stroller, there are some necessary features that you need to know about before making a decision. Below is a brief overview of the main factors that affect that quality of a stroller. This is the main characteristic that differentiates travel strollers from regular ones. Whether you are traveling by train, car, or airplane, your stroller needs to be compact enough to fit in the small compartments that are available to you. Additionally, a good travel stroller will also have a folding mechanism that allows it to compress to a fraction of its size. Ideally, you want a stroller that can fold down to around 22” x 12”x 11″ with a weight that doesn’t exceed 15 pounds. Travel strollers need to be sturdy enough to handle the constant wheeling, steering and folding that you are going to put them through. The frame needs to be sturdy and should preferably be made from high-quality elements such as aluminum. The fabric that is used for the seat and canopy should similarly be of the highest quality and the stitching needs to be immaculate in order to avoid any damage or tear. As for the wheels, you will have to make sure that they are made from durable foam rubber or rubber-like materials such as an elastic polymer element. Your toddler needs ample space so that he can move around freely and doesn’t feel restricted or tied to the seat. A large and spacious seat is necessary for long trips so that you can avoid causing any discomfort for your child. To ensure more comfort, the seat needs to be made from soft fabric and should be padded enough to provide a thick layer of cushioning. Furthermore, it is highly advisable to get a stroller that features a fair amount of padding around the crotch and shoulders of the toddler, two areas that tend to cause discomfort during long trips. Besides the fact that best travel system stroller it should be made from good quality materials, there are some other characteristics that should be present in the canopy of your travel stroller. It needs to be wide and long enough to provide full protection for your toddler. Another important aspect that you should pay close attention to is the color and texture of the fabric. If you are planning to use the stroller for extended periods in the outdoors, you should avoid the ones who have transparent canopies due to their natural propensity to concentrate the sun’s heat. A stroller that is easy to fold saves you a lot of time and needless effort. At first glance, this might not seem like an important factor. After all, you are probably wondering: how hard is it to fold a compact stroller? The answer is: not that hard when you are at home and have the luxury of using both hands. You should keep in mind that when traveling, you will often find yourself in situations in which you will be forced to fold the stroller with one hand while you are holding your luggage or your child in your arm. Having a stroller that can be folded instantly and with minimal effort is extremely valuable in these situations, that’s why the best stroller travel system should include this feature. While most travel strollers these days are equipped with a good folding mechanism, very few of them are designed to stand on their own once folded. The lack of this feature shouldn’t necessarily be a deal breaker, but a stroller that can stand without any support offers a lot of convenience and practicality. Not only will the self-standing feature allow you to easily place the stroller in a wide range of locations, it will help shield your child from various germs since no part that is in direct contact with him will touch the ground. A major issue with a number of strollers is the fact they have no removable parts that are machine washable. This is highly inconvenient since children are bound to spill something on the seat, which could leave permanent stains if you are unable to wash it. 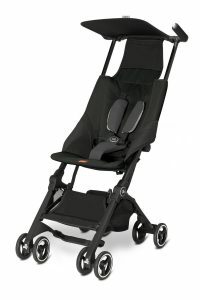 Make sure to get a stroller that has a removable seat pad rather than one that is attached to the seat. Moreover, machine washable pads tend to be more durable since the fabric used in making them is thicker and of higher quality. More often than not, you will need to store important items that your baby needs in the stroller itself. This can only be done if your travel stroller is equipped with a built-in storage compartment that is well designed, spacious, and conveniently placed in a way that allows you to keep these items within close reach. It needs to be spacious enough to hold a wide assortment of items and should be durable enough to handle up to 10 pounds of extra gear. Besides essential baby items, these storage compartments provide enough space to store small shopping bags and other compact objects. This is another important factor that you should keep in mind when deciding on which travel stroller to pick. While a reclining seat offers more comfort and flexibility for your child, it is important to know that it comes at a steep price; it makes the stroller significantly bulkier and heavier than ones without a reclining seat. Making a decision between the two options will depend on what quality you value more, flexibility or compactness. If you think that a more adaptable seat is worth taking up a little bit of extra space, go with a stroller that has a fairly mild recline. This is an ideal option if you just want a decent travel stroller that doesn’t break the bank. 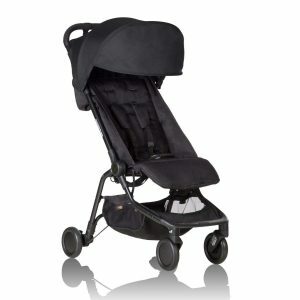 It has a lightweight design and is destined for newborns and toddlers who weigh up to 50 pounds. It features an innovative and effective mechanism that always the stroller to fold in a quick and easy manner and comes equipped with an automatic lock and a carry strap. The compact size and foldable nature of the Infant 3D Lite ensure that it doesn’t take up any unnecessary space in your car. Because of these features it is definitely best lightweight stroller for travel. This stroller is made from high-quality materials and is sturdy enough to handle prolonged use. It boasts anti-shock front wheels that can absorb any impact without disturbing your baby and make wheeling the stroller extremely easy. Furthermore, the seat is remarkably spacious and has enough padding to keep the baby comfortable and relaxed at all times. This stroller was specifically designed for frequent use. It has a small yet strong and durable build and is suited for young children up to the age of 36 months. The Besrey Airplane Stroller boasts a unique two-step folding design that allows it to compress to a small size that can easily fit into any car, airplane, or train overhead bin. When you are ready to use it, the stroller can be instantly reopened with a push of a button. 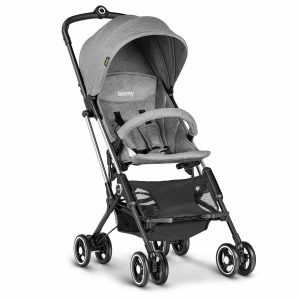 One of the characteristics that make this unit such an ideal stroller for travel is just how easy it is to steer. Thanks to the 360-gree swivel wheels and the lightweight aluminum frame, the stroller can be maneuvered with minimal effort. You can even wheel it with one hand whilst holding a different item in the other hand. It is really the best stroller for air travel. This stroller From UPPAbaby comes with a plethora of features that make it a prime candidate for the best-rated model in our list. It is designed for children up to 55 pounds and boasts a sturdy aluminum frame that can only be found in high-end strollers. Despite its relative bulkiness compared to other options, it can still be folded and stored in the back of a compact car. The folding mechanism of this stroller can be conveniently managed by a set of two hand-level triggers. Moreover, the G-LUXE can stand without any support once when it is folded. 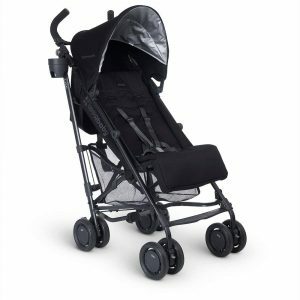 The stroller offers spacious storage for a wide range of items and comes with a practical built-in cup holder. The fabric and seat pad are removable and machine washable, so you will never have to worry about spills or permanent stains. This stylish unit comes in a number of eye-catching colors and includes all the features that we like to see in an ideal travel stroller. What sets the Mountain Buggy Nano Stroller apart from the pack is the fact that it is compatible with the vast majority of children car seats. It is suitable for infants up to 44 pounds and has a two-stage folding mechanism that compresses the stroller to a compact size. It is also equipped with a shoulder strap and a satchel that allows you to carry the stroller once folded. The design of the stroller is characterized by a unique weight distribution that allows for easy handling and wheeling. The brakes are very responsive and the wheels are suited for any type of surface. As far as comfort is concerned, the seat is well padded, spacious, and includes a sun canopy with a flip-out visor. This stroller holds the distinction of being recognized by the Guinness World Records book as the most compact stroller in the world. The Pockit features a two-step folding design that can be folded to a size that is compliant with every airline carry-on requirement. The stroller is small enough that it could be conveniently kept under the seat or in the overhead compartment. However, don’t be misled by its record-setting compactness, this stroller can, in fact, handle children who weigh up to 55 pounds on top of carrying more than 10 pounds of extra items in the under-seat storage compartment. The seat provides ample comfort for your child thanks to the high-quality padding that consists mostly of Polyuerethane and Polyester. Additionally, the stroller has padding around the shoulder and crotch areas for extra comfort and this makes the best stroller for travel. Traveling with twins or two closely-aged young children can be complicated if you are not familiar with the ideal type of stroller for this situation. Contrarily to popular belief, double strollers don’t have to be bulky and heavy. There are plenty of options that provide both comfort and durability without sacrificing compactness and lightness. Umbrella strollers are especially effective in this case. 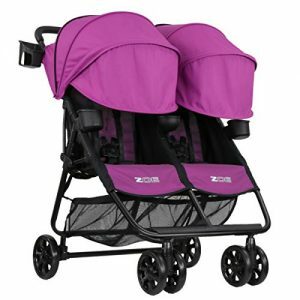 More specifically, we recommend the ZOE XL2 BEST Xtra Lightweight Double Stroller for anyone traveling with two children. Weighing a mere 16 pounds, The ZOE XL2 is only slightly heavier than the average single stroller. It has a spacious and comfortable seat that reclines to 135 degrees and features a wide canopy that provides full protection from sunlight. Other features include a fairly large storage basket and a carry bag that makes packing the stroller more convenient. The best travel stroller needs to satisfy all the requirements that are outlined in this guide. 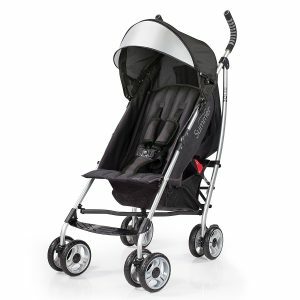 However, no particular option can claim to be perfect and each of the strollers reviewed comes with their own set of pros and cons. Still, you will have a hard time finding any other models that can match our selection in terms of durability, comfort, and overall quality of craftsmanship and attention to detail. We suggested that you attentively read each of the reviews above so that you can pick the travel stroller that is ideal for your needs, taste, and budget.